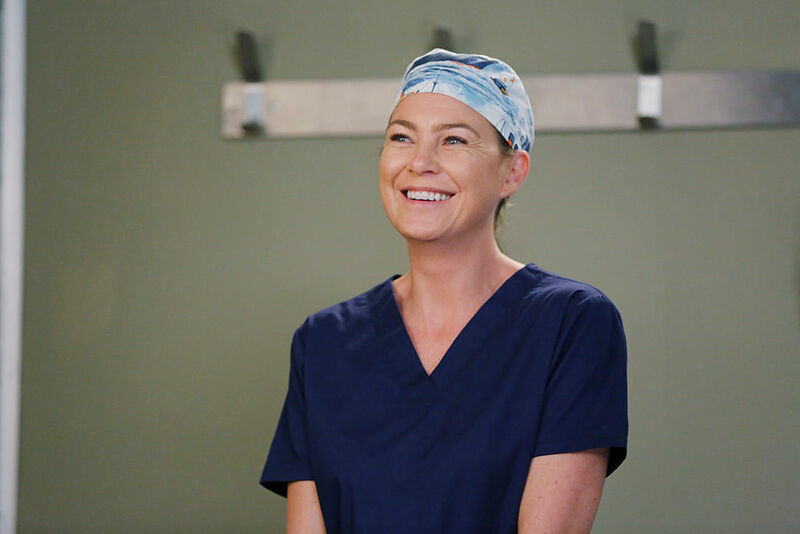 Every week on Grey’s Anatomy is a new adventure and we can’t WAIT to start another one in just a few short weeks! In the meantime, SPOILER ALERT. Last season, after Alex’s love interest, Jo (or… not Jo, as it were), confessed to intern Deluca that the reason she couldn’t commit to Alex was that she was (gasp!) already married — but to an abusive ex she ran away from — Grey’s Anatomy went deep and dark into its trademark drama. We left last season on Alex beating the crap out of Deluca, thinking he’d hit on Jo. And now that we have the first photos from Season 13, it doesn’t look like the drama is going away! The logline for the season premiere, titled “Undo,” tells us A LOT and also NOT NEARLY ENOUGH. Who exactly do we have to bribe to get this script early? 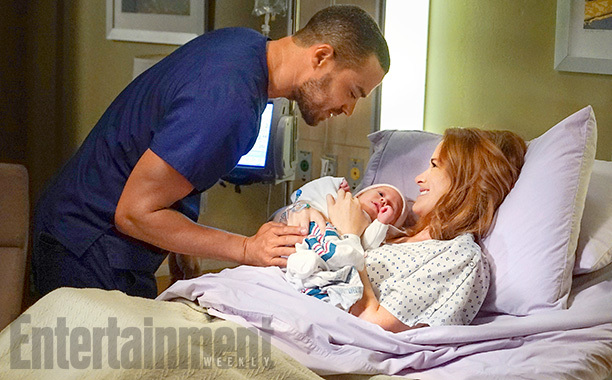 The first promo photos were shared by EW, and we love them and hate them because we have SO many feelings. Clearly, Alex is dealing with the aftermath of his outburst, both personally and professionally. UGH. We’re absolutely DYING to know what’s happening in this conversation. 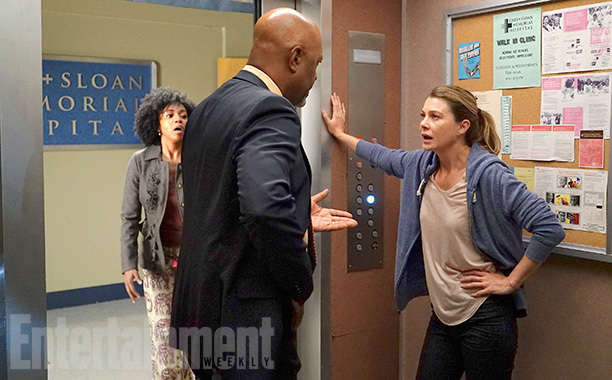 Alex isn’t the only one dealing with some difficult situations — we need to know what’s happening between Meredith and Webber here, too! We are COUNTING THE MINUTES until season 13 premieres. At least there’s a little bit of happiness in our future! 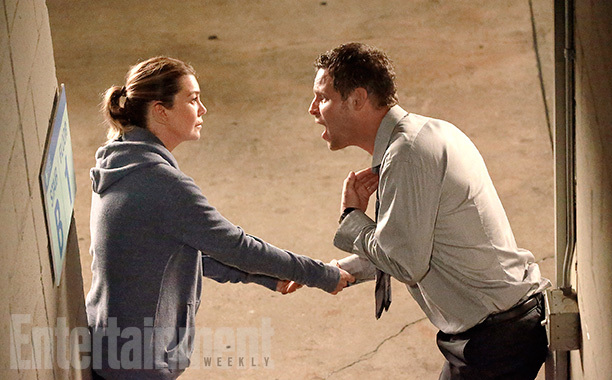 Grey’s Anatomy returns to answer our questions and break out hearts on September 22nd.